NATIONAL REPORT—MGM Resorts has named Silicon Valley veteran Atif Rafiq as its president of commercial and growth. This move joins others from major players in the hospitality market. Here’s a look. MGM Resorts International has named Atif Rafiq as president of commercial and growth, reporting directly to Chairman/CEO Jim Murren. Rafiq has extensive experience in rethinking and transforming global organizations, reshaping consumer behavior and delivering significant, measurable, new sources of profitability for companies, according to MGM. With this new role, which he starts in May, he will develop new customer experiences, business models and revenue streams, including launching digital businesses to further differentiate MGM Resorts. As the lead commercial officer, he will oversee current revenue streams including commercial, digital, sales and marketing, bringing them together in a unified strategy allowing for efficient, nimble and innovative growth. This is in line with the principles of MGM 2020, the company’s plan for transformation and revenue growth, with an emphasis on data-driven, digital and customer-centric innovations. RLH Corporation has named Vinod Sankar as SVP/Chief Digital Officer. In this newly established role, Sankar will be accountable for delivering company growth through evolving RLH Corporation’s global digital strategy, technology innovation and online customer experience. He joins RLH Corporation from MSG Ventures, a subsidiary of The Madison Square Garden Company, where he served as VP of product development and partnerships. He has nearly 20 years of experience in technology-driven organizations. Prior to MSG Ventures, he held senior leadership roles in product management, digital strategy and operations in companies such as Atlice USA, Yahoo, Minacs and /7.ai. He additionally has hospitality industry experience at Taj Hotels Resorts & Palaces. Concord Hospitality Enterprises has promoted Ryan Maher to VP of business development. Maher manages business development opportunities—including new development, acquisitions and third-party management—across Concord’s portfolio in his new position. Since joining Concord in 2012, he has focused on new development of select-service and full-service hotels—from underwriting through groundbreaking. He has more than 14 years of experience in the hospitality industry, previously working for six years in operations. Maher will also be VP of business development for Common Oaks Lodging LLC—a newly formed subsidiary of Concord Hospitality. Common Oaks Lodging will provide long-term management and development services for nearly 30 forthcoming WoodSpring Suites hotels. In this role, Maher oversees the pipeline of $325 million in new developments across Michigan; North Carolina; Nashville, TN; and Jacksonville, FL. Sbe has added Robert Mellwig as chief culture officer and Stephanie J. Rubin as SVP of corporate finance. Both executives will be based out of the sbe New York global headquarters. Mellwig oversees the company culture and human resources functions, while Rubin will oversee sbe’s accounting, treasury, and financial planning and analysis functions. Both will play a pivotal role in the ongoing integration process with Accor, according to the company. Mellwig most recently served as SVP of really cool people (HR) over the past 15 years with Two Roads Hospitality (formerly Destination Hotels and Resorts) and its parent real estate company, Lowe. He has held HR roles with W Hotels, Starwood Hotels & Resorts, Hilton and more than 90 hotels globally. Rubin joins the company from Re:Sources, a Publicis Groupe company, where she was the chief accounting officer for the last five years in her 17-year term. She has held various roles in media and digital transformation, as well as contributed to the establishment of shared services centers in offshore countries. Her 20 years of experience encompasses roles with TBWA Worldwide, PricewaterhouseCoopers, KPMG and Publicis Groupe. Hodges Ward Elliott (HWE) has added Bhavesh (B.J.) Patel as its newest VP. In his new role, Patel focuses on expanding the HWE select-service hotel brokerage practice and increasing its deal volume, as well as strengthening the overall platform by further developing new and existing client relationships. He will be based in the firm’s Atlanta office. With more than 15 years of experience in hospitality, he joins HWE after serving as a senior managing director with a national firm’s lodging capital markets group in Atlanta for a decade where he focused on hotel investment sales. 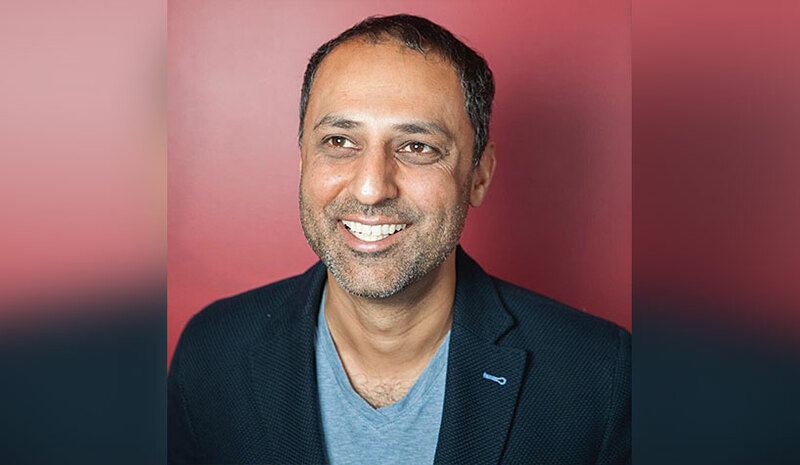 Earlier in his career, Patel also served as a development manager with NYLO Hotels and as an associate for acquisitions and asset management at the Procaccianti Group. American Express Global Business Travel (GBT) has appointed Margaret Bowler as director, global hotel strategy. In this newly created London-based role, she will report to Wes Bergstrom, VP, hotel strategy. Basecamp Hospitality has promoted Joanne Tan to associate VP of sales and employee engagement. Formerly director of sales, Tan now oversees sales development for all of Basecamp Hospitality’s 20-plus parks, from California and Oregon to Arizona, Utah and Wyoming, as well as engagement of the company’s 900 employees. In her new role, she is expanding her responsibilities to include creating more emphasis on services for leisure and meeting groups. A big area of focus will be promoting family-friendly options, including educational programs to help kids become more fit, mindful and environmentally aware through outdoor activities. Tan joined the company in 2016, bringing more than 13 years of experience in event planning and sales in the hospitality industry, advancing to a director of marketing position and then to associate VP of sales and employee engagement. Her work in the industry ranged from project management at Hotel Whitcomb to catering, event sales and marketing communications experience at The Fairmont, Kuleto’s, Roy’s San Francisco and Villa Florence. Hotel Equities has promoted recent manager in training graduate, Jack Meakin, to business development coordinator. In his new position, he plays a vital role in owner relations, adding value for the firm’s partners through enhanced communications and data-driven recommendations, according to the company. He is based at HE’s headquarters in Atlanta and reports directly to Joe Reardon, chief development officer.